Don't Make a New Year's "Resolution"
Taming a wild horse is quite difficult. They’re powerful animals, and when used to a life of freedom they strongly resist being held captive. An untrained person might be inclined, once they have a rope on the horse, to try to hold it in place until it relaxes. But this terrifies the horse. He’ll buck and fight and keep resisting you, and you’ll keep holding the short rope in vain. What cowboys eventually figured out was that trying to immediately restrain the horse was almost impossible. It needed to feel like it was deciding to come to the cowboys, not that it was being forced to. 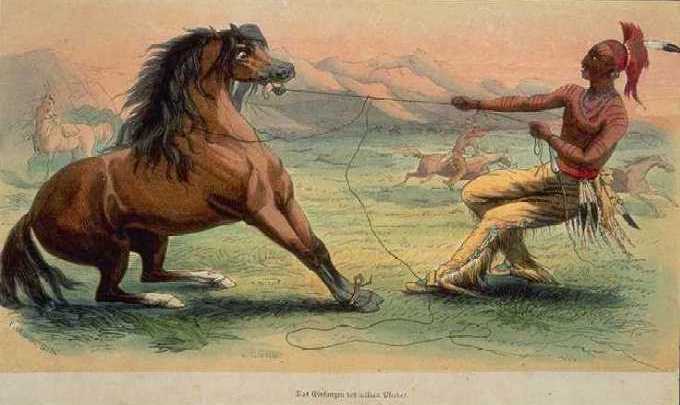 Instead of trying to hold the horse in place, they would give it a very long rope, letting it run far from the cowboy and giving it the illusion of being free. When the horse gave up some slack they would slowly reel it in and continue shortening the rope in this way. Through small gradual changes they tamed the horse with a speed and effectiveness that would have been impossible by immediately restricting it. The horse has been used as an allegory for the mind for over 2,000 years. Plato described the soul (which we can also call “the mind”) as a three part system operating as a chariot: A logical portion represented by the chariot driver, with the two horses representing the soul’s spirited and appetitive portions. The logical portion drives us to learn, think reasonably, and do things that are in our best long term interest. The spirited and appetitive portions drive us to passion, vices, indulgences, but when properly directed can also pursue learning and self-improvement. This is the task of our chariot driver: to try to control our spirited and appetitive sides and drive them away from temptation and towards what’s best for our mind and body. But directing a wild horse is just as difficult as taming one. The driver is the weakest part of the system. If the horses are untrained, and if the driver is not strong, then the horses will run in any direction they choose, unable to avoid their pull towards base desires. But a strong driver who knows how to manage the horses can direct your spirit and appetite towards the goals that your rational mind desires. Any time we find ourselves eating things we shouldn’t eat, spending more time on Facebook or TV than we should, or hitting snooze repeatedly; that’s our horses taking over control from our driver and doing what they want. Everyone has equally strong horses. We all share hedonistic desires to eat junk, goof off, sleep in. But we don’t all have equally strong drivers. Our ability to affect any change in our lives is a function of the strength of our drivers, but also how we treat the horses. 1. They try to reign in the horses too quickly, causing the fight to be much harder. 2. They give the horses no clear direction, so they’re prone to run in circles and go nowhere. Many people will set January 1st as the day they make a big change in their life. Any huge change in your life that you try to make overnight is the equivalent of the driver grabbing a wild horse by the reigns, holding its head down, and expecting it to chill out and oblige. That simply does not happen. The horse will buck and fight, pull harder on the reigns than before, and the rider will get exhausted. For us, that means we’ll be fighting temptation to break our new goal at every turn, we’ll constantly be struggling to keep to it, and we’ll be mentally exhausted from using all of our willpower on this one change. How do you make these goals manageable? The same way you tame the horse: by letting it out on a very long rope, and slowly pulling it in. Instead of saying ““I’m going to stop drinking” start with “I’m not going to drink on Mondays.” Do that for one week, then graduate to Mondays and Tuesdays. Every week you succeed, add in a new day. The continual success will motivate you to keep going and prevent you from being mentally exhausted. Or if you want to start working out every weekday, just work out one day. Once that’s in your schedule and natural, graduate to two, and so on. Make it as easy as possible to succeed and prevent yourself from failing. The second major problem with New Year’s Resolutions is giving the horses no clear direction. In this case, the “resolution” is vague and doesn’t make it clear what you should be doing. The first problem is that in all of these situations, your driver has a vague end goal but no clear direction on how to get there. What does it mean to eat healthy? What diet specifically? What do you need to change? What kind of exercise are you going to do? How often? What’s the first step? What’s your end goal—losing weight or building muscle? Or maybe running a marathon? How many books are you going to read? Fiction or non-fiction? How are you going to lose 10 pounds? Diet? Exercise? The second problem is that most of them don’t have a clear way to tell if you’ve succeeded. When will you have “succeeded” at eating healthy? If you exercise once, does that count as succeeding if you didn’t exercise this year? Lose 10 pounds has a way to measure success which is good, though I’d argue that losing 10lbs of muscle is bad and saying “lose 10lbs of fat” would be better. The third problem is that they lack urgency. A “New Year’s resolution” implies that you have all year to get something done, but none of these goals require the entire year to achieve, just to sustain. Same thing with starting an exercise routine and losing 10 pounds. Hell you can lose 10lbs in two weeks if you’re determined. The solution is to keep your resolutions SMART. Relevant: Less important here, but make sure you’re setting the right goal. Like I said, lose 10lbs is bad if it’s 10lbs of muscle. But is That Even a Resolution? Not really, which is why the article is titled the way it is. It would be better to think of any of these as a New Year’s “Goal.” A resolution is, by definition, vague and immediate, which means it’s also destined to fail. Instead of “resolving” to do something in your life, set one to three big goals for the year based on the frameworks above, and then make sure they happen.